I had quite a few things to do on Saturday, so I decided just to combine nights 8 and 9 on one podcast. 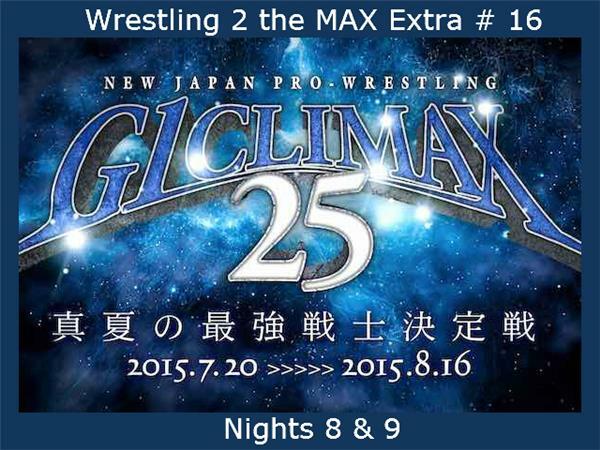 Night 8 was in Osaka and combined to deliver some great matches and interesting results. Night 9 was in Nagoya and they delivered simpler matches, but still a very good show overall. What were the best matches? What do you need to go back and watch? Who stood out on these shows? Sean breaks it all down from both nights. Sean also previews Night 10 and discuss the latest on the pick'em situation as well.